A perfect location for an ATV, dune buggy, fishing trawler or motor boat, Sand Hollow State Park is the place to point your wheels when you want to get away from it all. There are 6,000 acres of OHV terrain in Sand Mountain to explore on your favorite vehicle. 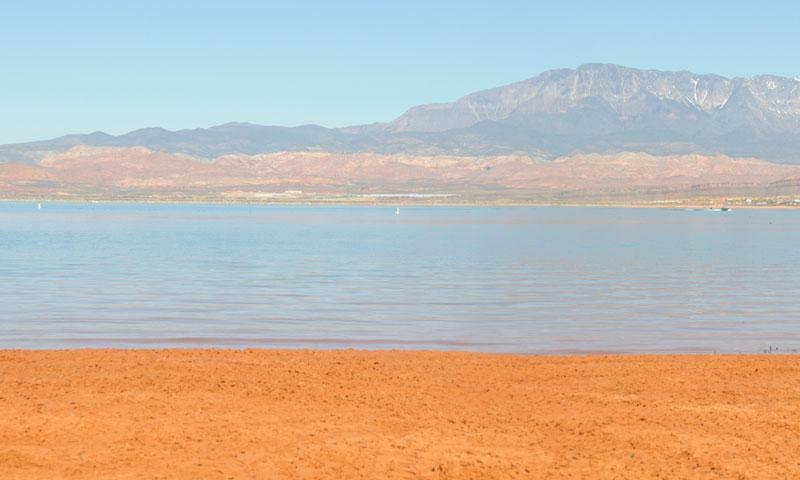 For both beginner and expert anglers, Sand Hollow Reservoir offers challenges and rewards. Campsites facilities include ATV-accessible sites and full RV hookups. For those looking for some solitude, primitive camping is permitted in a separate area. Sand Hollow was a popular area before the construction of the reservoir, but with the added opportunity for fishing, boating and swimming, the park quickly became one of Utah's most popular state parks. Sand Hollow is tucked in between St. George and Hurricane. To find the park, take Exit 16 of I-15, heading east towards Hurricane on UT-9. Turn south on Sand Hollow Rd. after five miles. The park will be just under five miles down the road. Day-use fees are $10, including use of the boat launch. Fees for campsites range from $15 for a primitive site to $28 for a full hookup. 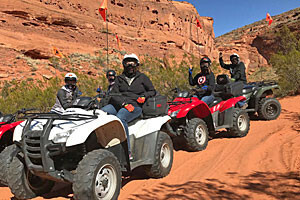 The most popular activity in Sand Hollow State Park, Utah, is riding an ATV, dune buggy, dirt bike or another choice vehicle through the dunes, sand and desert that makes up the park. There are facilities geared towards loading and unloading, as well as a campsite with ATV access. Largemouth Bass and Bluegills are just some of the fish waiting for anglers in Sand Hollow. Though the park has only been open for a few years, there is already a healthy population of larger bass over five pounds. With 1,322 acres of surface water, motorboats have plenty of space to head out for a whirl on the lake, surrounded by the beautiful desert scenery. There are three separate camping areas in this park. The largest is the Westside Campground, offering full hookups for RVs. The Sand Pit is aimed at the off-roading crowds, with direct access to the dunes. Along the east and south shores of the reservoir, primitive camping is permitted. Reserve campsites online. Previously owned and managed by BLM, Sand Hollow, Utah's newest state park, was completed in 2003 to provide water storage for the area, in addition to the Quail Creek Reservoir.